I've gone beyond the playing with QML stage and now want to port my first Maemo 5 application, Attitude, to Qt Quick; with the aim of having it run on Maemo, Symbian, MeeGo and Android. I chose the last three. 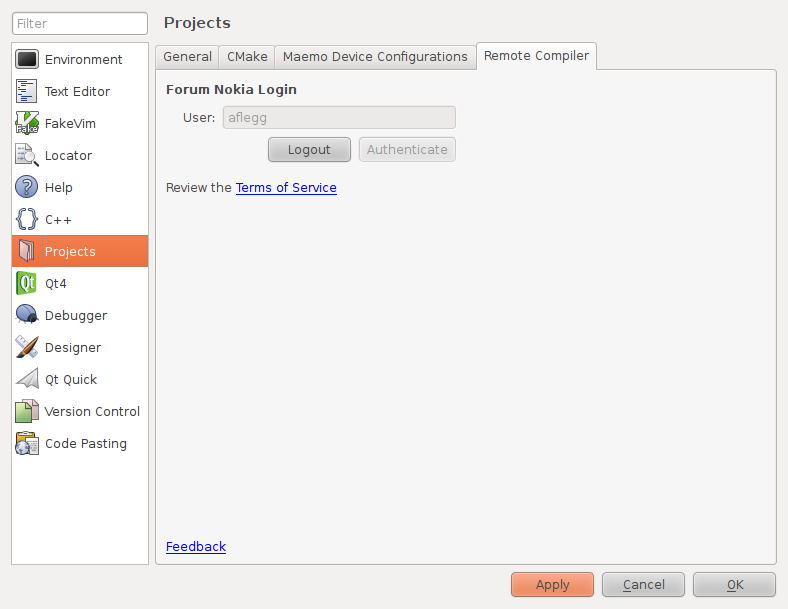 On Linux, there is no native support for deploying or compiling for Symbian. Compiling can be dealt with by the "remote compiler", but what about deploying? Start the application and get its console output back in the IDE. Get a Forum Nokia account, if you do not have one. 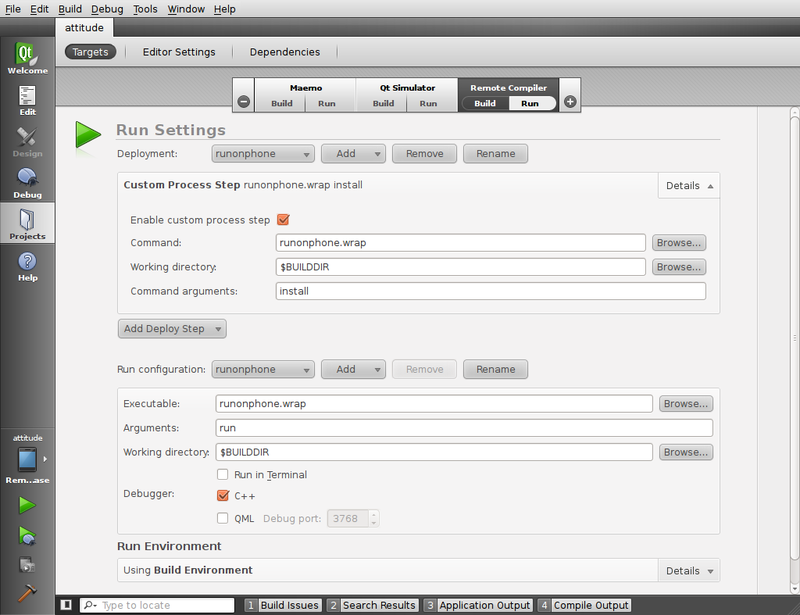 Download this script: runonphone.wrap, and put it on your PATH (make sure it's executable). 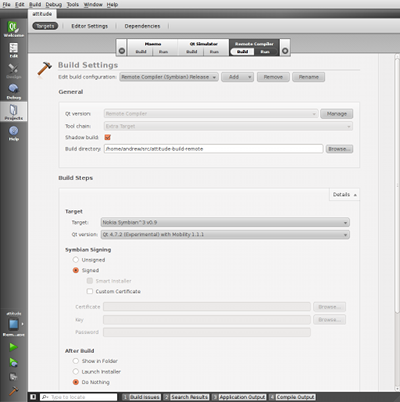 Open your project, and select Projects > Remote Compiler > Build. Ensure Signed is checked. 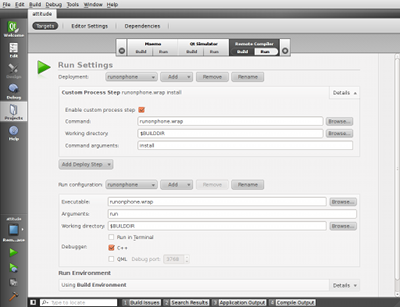 Switch to the Run tab and create a new deployment and run configuration. Arguments: either install (for deploy) or run. Send the SIS files under Qt/4.7.2, QtMobility/1.1.0 and TRK to your phone (e.g. via Bluetooth) and install via launching them. Go to the main launcher menu and launch RnD Tools > TRK. Under Options > Settings ensure USB is set as the connection method. Connect your Symbian phone via a USB cable. 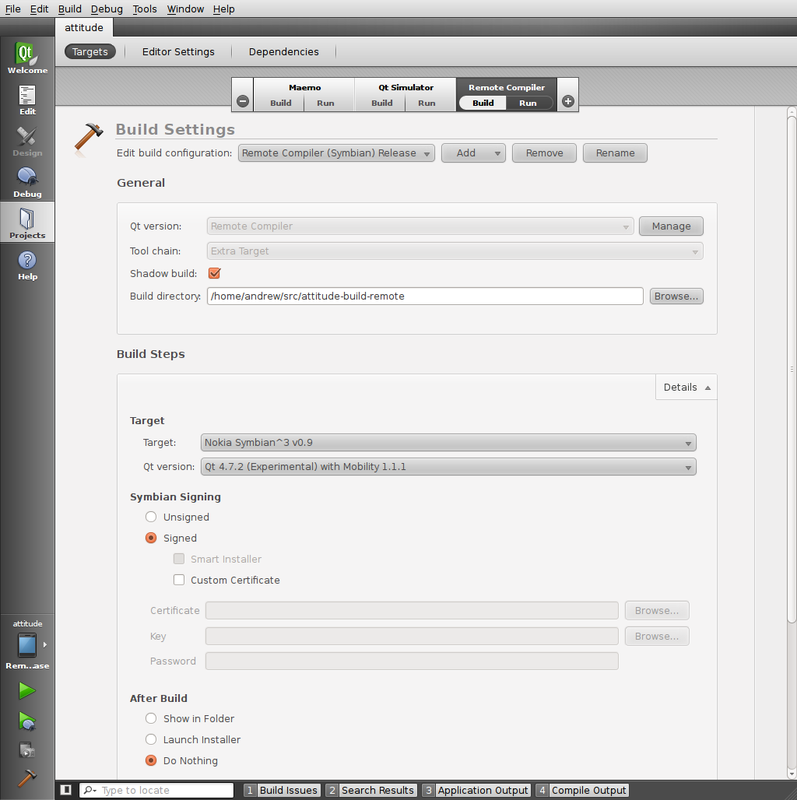 Then, when you deploy and run in Qt Creator the SIS file should be sent over the usbserial connection and launched on the device. Unfortunately, if there's a problem you can sometimes end up in a state where you need to kill -9 the processes blocking the port. It also doesn't seem to like working on /dev/ttyUSB1, only /dev/ttyUSB0 - but these could all be interrelated problems. Improvements to the script very welcome!